KANSAS CITY, MO. – This year, more than 1,500 winter weather professionals from cities, towns, counties and rural street divisions, as well as state and provincial transportation departments from across North America, will converge in Charlotte, NC in April for the American Public Works Association (APWA) North American Snow Conference. With the variety of winter weather events occurring each year, even as far south as Dallas and Atlanta, winter maintenance programs now include more than just snow removal. This year’s APWA Snow Conference, known as “The Show for Snow,” will offer four days of winter maintenance education and an expanded lineup of fleet and emergency management sessions, as well as an excellent exhibit program at the Charlotte Convention Center, April 7-10, 2013. “The 2013 Snow Conference attendees will have the opportunity to sit in on many outstanding educational sessions featuring the best in snow and ice control, as well as the increased lineup of fleet and emergency management solutions,” said APWA Executive Director, Peter B. King. On Monday, April 8, the Opening General Session Talk Show, titled “Public Works and Emergency Response, ” is an interactive general session led by a panel of experts from across North America, including Moderator David Bergner, PWLF, of Monte Vista Associates in Mesa, Arizona, and speakers Christine Walsh, Director of Operations in Beloit, Wisconsin; Brian Usher, PWLF, Director of Public Works in Largo, Florida; Kimberly Vásconez, Team Leader, FHWA and USDOT Traffic Incident & Events Management Office of Transportation Operations; and Tom Martin, Operations Program Coordinator of the I-95 Corridor Coalition; who will lend their experience and provide strategies on emergency management and incident command that you’ll be able to take back to your agency after the conference. On Tuesday, April 9, the General Session will feature NASCAR Legend, Jeff Hammond, a NASCAR crew chief who placed in the record books as one of the best of all time. After a distinguished career Hammond joined Fox Sports in 2000, and now contributes to the race coverage on both Fox and FX. He is also featured on Friday nights on Trackside Live on the SPEED channel. His session will provide a unique perspective on success and how to overcome the obstacles you encounter each and every day. On Wednesday, April 10, from 8:00 a.m. – 12:00 noon, the morning is dedicated entirely to three Technical Tour programs. Charlotte Street Maintenance Facility Tour: The Charlotte Department of Transportation Northwest Operations Yard and Administrative Facility is a state-of-the-art facility, built in2006. This tour of the facility will highlight the division’s snowfighting equipment, the 5,000-ton salt storage building, and its highly-effective salt brine manufacturing system with 10,000 gallons salt brine and 5,000-gallon calcium chloride storage capacity. Technicians from the City of Charlotte’s Fleet Management Division will also be on hand to demonstrate the tools and equipment used to fight snow and ice on more than 5,200 lane miles of city roadway and maintain the 6,200+ pieces of rolling and non-rolling stock used throughout the city and county. This tour also functions as the hands-on supplement to the education session “Biodiesel in Winter – What You Need to Know.” As an extension of the education session, you will also be able to perform easy biodiesel testing that you can take back to work. Freightliner Trucks Tour: This tour highlights the Freightliner Trucks’ Mount Holly Plant. Thanks to their more than 630,000 square feet of floor space and approximately 1,550 employees, the Mount Holly facility was recently able to celebrate the production of its 500,000th vehicle – a Freightliner Business Class M2. Opened in 1979, the Mount Holly Plant originally produced long-haul heavy-duty Freightliner trucks for customers in the eastern United States and Canada. Discover the major renovation and expansion that took place in 2002 that readied the plant for M2 production and allowed them to hit this historical milestone. Michael Waltrip Racing Shop Tour: This tour is located in Cornelius, NC, and features the Michael Waltrip Racing Shop that encompasses over 11 acres and more than 140,000 square feet of NASCAR excitement. Opened in 2007, the complex houses Michael Waltrip Racing’s three SPRINT Cup Series race teams: Clint Bowyer (#155 Hour Energy Toyota Camry), Mark Martin (#55 Aaron’s Toyota Camry) and Martin Truex Jr. (#56 NAPA Toyota Camry). During this tour, participants can observe the inner workings of production, such as the machine shop, shocks, suspension, gears & transmission, paint booth, fabrication and final assembly departments as technicians build the cars you see every weekend on TV. In addition, you’ll see short films throughout the tour that further detail the immense amount of work it takes to get these machines on the race track. Weather and schedule permitting, you can even watch a LIVE Pit Practice session. For more information on the 2013 North American Snow Conference in Charlotte, and to register online, go to www.apwa.net/snow. 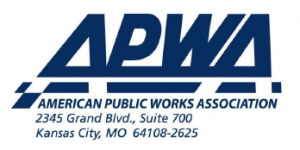 For more information on the American Public Works Association, please visit www.apwa.net. For media queries, contact Laura Bynum, M.A., APWA Media Relations Manager, at lbynum@apwa.net.